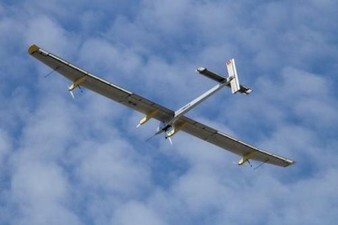 The Dawn of an Age of Solar Flight? From the 1950s to the 1990s, engineers explored the limits of what was possible in aviation. In so doing, however, they hit inevitable barriers of cost effectiveness. We’d made our point with elaborate manned space missions but had no financial incentives to keep blowing fortunes on them. The concorde, a supersonic jet liner made by the Europeans proved so expensive that not even rich people could keep it commercially afloat. Super expensive space shuttles with nearly 1/60 odds of blowing up on take off haven’t proved worth replacing. The age of exorbitant spending just to prove a point is over. First, new technologies and engineering projects must be cost effective. And this brings up an obvious frontier in flight if we want to be as energy effective as possible. It would seem we’re approaching a point where batteries can store enough solar power to get through the night or in bad weather. How long until people actually start living in the air to get away from the power of governments and rent seekers?